Being inside all white room with simple dresses and elegant minimal decor is like a breath of fresh air! Loved that day! There is no time as magical as this for engagement sessions! 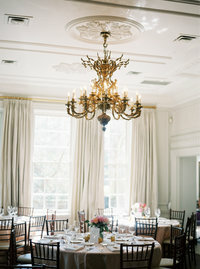 Softens of the blooms with early morning sun + creamy tones of film = recipe for the dreamiest of sessions! “Between the space and silence lies an infinite world of inspiration and imagination. Unraveling the elegance and style embedded in the simplicity of minimalism, uncovering a beauty between forms, discovering a treasure trove of priceless gems, of the eternally beautiful and majestic, all hidden in plain sight. 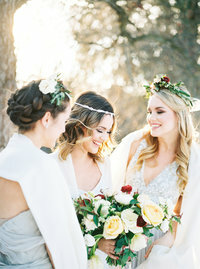 This exquisitely assembled palette forming a litany of simplicity; from an endless spectrum of monochrome to the demure and undisturbed arrangement of garden green and carnation white floral furnishings, to the intricate dance between tabletops, tableware and textiles, and all accessories in between, is our main motivation for our latest styled shoot, “Minimalistic Bride Inspiration”. Simplicity and minimalism is a classical theme that brings to life whole worlds of beauty and elegance through breathtaking finesse and effortless technique that, like a master of their craft engaged in performance, leaves an audience amazed and awe-struck beyond words. And no better a place to showcase such a fascinating, perplexing and challenging theme than in the auspices of a wedding day; a day where style, class, elegance and inspiration are inextricably coupled with the story of the day. And to truly encapsulate this theme of minimalism and simplistic elegance, our stylists and planners had chosen Toronto’s The Great Hall on Queen Street West as our design-choice destination for a perfectly simplistic style. Making excellent use out of The Great Hall’s spacious, brightly lit and bare-bone offerings of their Drawing Room and Conversation Room, our planners and stylists had chosen these blank canvases as the main stage for their flawless performance. To begin, our designers had chosen to subtly include a hint of elaboration within the minimalism; employing a handful of boldly breathtaking bridal gowns care-of boutique bridal shop SASH & BUSTLE. Adding to that, an ensemble of bouquets and floral arrangements befitting our minimalistic colour palette provided by Toronto-based florists SWEET WOODRUFF played a pivotal part perfectly in being one of the few sources of pure colour in an otherwise simplistic monochromatic theme; adding the bloom of bright green to a lily white palette. For ornamentation, our stylists and designers decided on an austere setup for the dining tables; with beautifully minimal tableware by PLATE OCCASIONS, specially designed translucent chairs provided by Gervais Rentals, and gorgeous crystal taper candles by Toronto’s YUMMO CANDLES to give an exquisite touch of charm to a simple style. Following our soft and demure design, our styled shoot’s stationary set was carefully crafted by Toronto’s EVERLY TRUE INVITATION DESIGNS, and an impeccable choice of wedding ring and included accessories by CYNTHIA FINDLAY ANTIQUES and MRS. BOX. And for the Pièce De Résistance, a perfectly minimal wedding cake provided by ROCOCOA BUTTER to top it all off. All brought together on a blank canvas, these stylistic and design elements perfectly chosen and delicately embellished to create an absolutely elegant, simple and minimalistic wedding theme that speaks volumes in its craftiness, artistry and ability to inspire. So be inspired alongside us, and captivate yourself in an endless sea of wonder, in a perfect and tranquil place, in our “Minimalistic Bride Inspiration”. Everyone who knows me know that I am obsessed with Rocky Mountains. So you can imagine my excitement when Carmen and Carl inquired about their Fairmount Banff wedding. It was a beautiful windy day, with a perfect temperatures to be outside for their terrace ceremony and cocktail hour. Carmen and Carl chose to do a first look to see each other before the ceremony and we still got lots of “groom tears” when Carl saw Carmen walking down the isle. In fact their ceremony got to be one of the most emotional ones I’ve ever been to. For both of them. For their wedding photos we drove around Banff, thankfully there are so many amazing spots for wedding photos just minutes from the Fairmont Banff Springs.